You did everything right. You planted the corms in fall, fluffed up the soil and fertilized the root zone but there are no blooms on crocus. There are several reasons for a crocus not blooming. Some of these are cultural, animal pests or you simply could have gotten a bad batch of bulbs. We’ll investigate the possibilities and find out how to get a crocus to bloom. 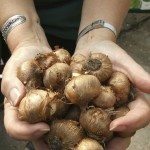 Crocus corms produce best in a sunny location with organic rich, well-draining soil. The soil pH should be between 6 and 7, and fertilizer should go into the planting hole at the root zone. Even the best planting area may suffer from non-flowering crocus. What went wrong? If you live in a very arid region, you will need to water the corms after planting. They are busy producing roots and need to uptake moisture to store in the corm. Soil is a crucial factor in non-flowering crocus corms. Soil has to be loose enough that the spring shoots can easily poke through. It also needs to be organic rich. If the soil is sand or clay, mix in 50 % compost to a depth of at least 8 inches. This will increase tilth and add nutrients. The plants need sun to form flowers, so ensure the corms are planted where it is bright. If you are saying, “my crocus won’t flower,” it may be time to take a look at our four legged friends. 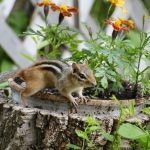 Squirrels and rodents will dig up bulbs, but other animals will eat the blooms right off the plant. Deer are notorious for chowing down on tender plants and flowers in early spring. They are almost impossible to foil, but you could try a repellent or put a cage around the crocus. Rabbits and chipmunks are common pests and cause beds of crocus not blooming. For these smaller animals, scatter dog or cat hair around the bed, tie noisy metal strips to line around the plants or use a commercial repellent. The first step to ensure blooms is to pick corms that are whole and free of disease. Get the healthiest, most robust ones you can pick to guarantee beautiful blooms. In warmer climates, choose varieties with lower chilling requirements. In cold climates, plant corms in raised beds to keep the roots from getting too soggy and give the corms a jump start on growth. Follow soil preparation directions and add fertilizer to the root one of the corm at planting. Leave the foliage in place to help the corms gather energy to store for the formation of the next season’s blooms.